We researched, designed, built and operate our very own online giving platform. We currently assist 50+ non-profits, ministries and other unique projects by providing every possible way for donors to give. 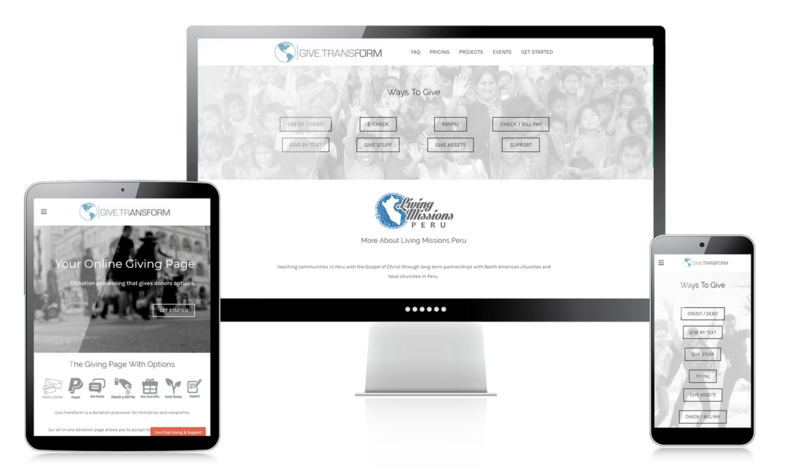 Check it out at www.givetransform.org.